Step 1: While pressing in the two red buttons on either side of the unit, depress the self inking unit a very little way until it locks into place. Step 2: Eject the ink pad by holding the unit front on. Push the ink pad in the centre towards the back of the unit and remove. As shown above. Step 3: Place Ink Pad on scrap paper and ink with Shiny Ink by using the tip of the reinker bottle directly on the top of the pad until ink has soaked through. As shown above. Note: When pressing lightly with the tip of the reinker, ink should rise to the surface of the pad and when reinker is removed should absorb directly back into the pad. 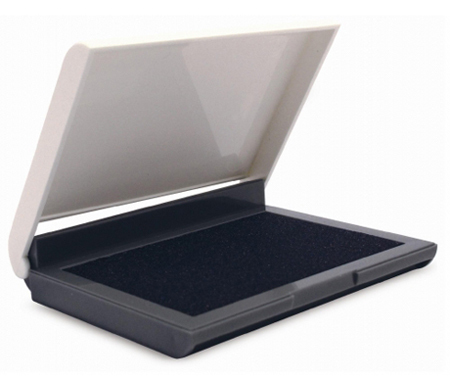 Need a simple Stamp Pad for your Vuestamp or Woodmount Stamp? Select from these sizes and colours. 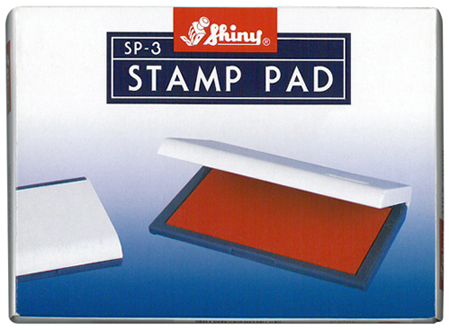 These Felt Stamp Pads are Re-inkable with Shiny Ink, available on request.